Hey, y'all! 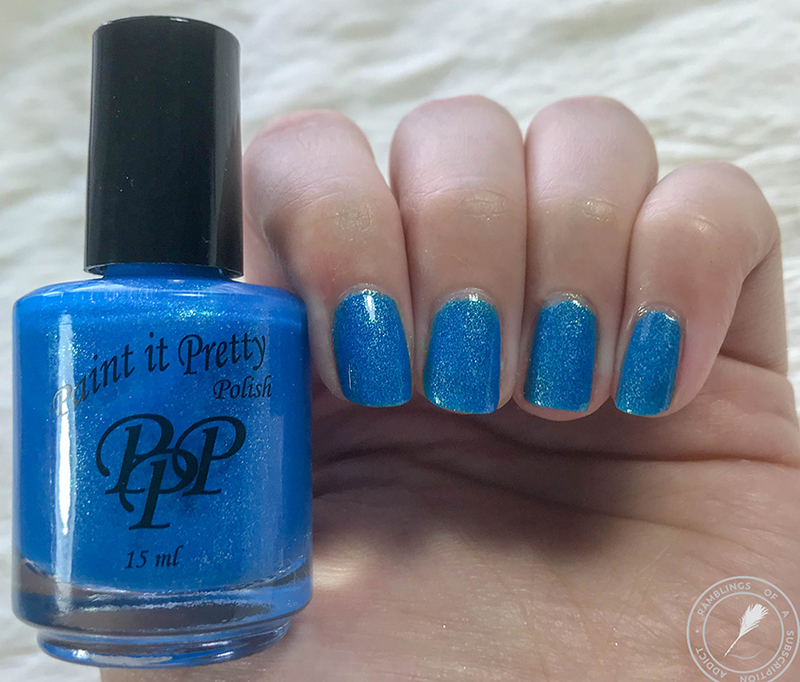 If you made it here without seeing the group post, head over there to check out all of the polishes from this collection! This is the individual review for Hard Drop! 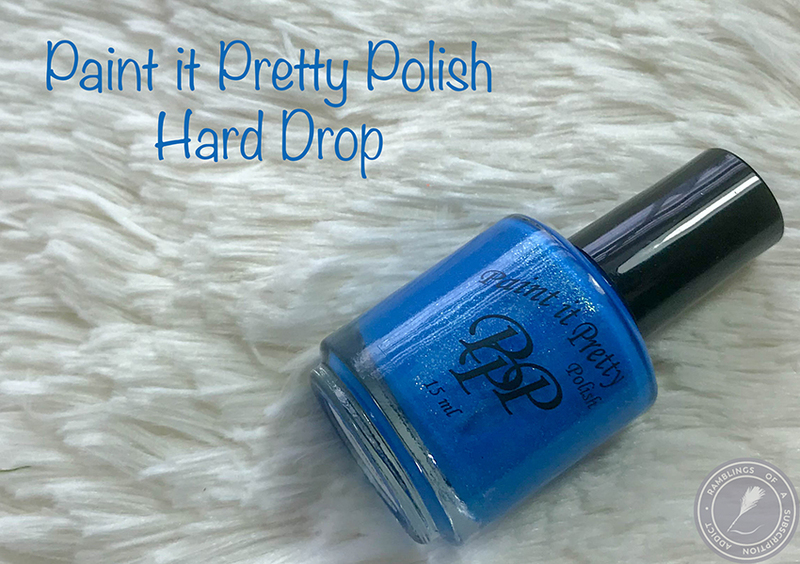 Don't forget to check out the other four polishes from this collection here! 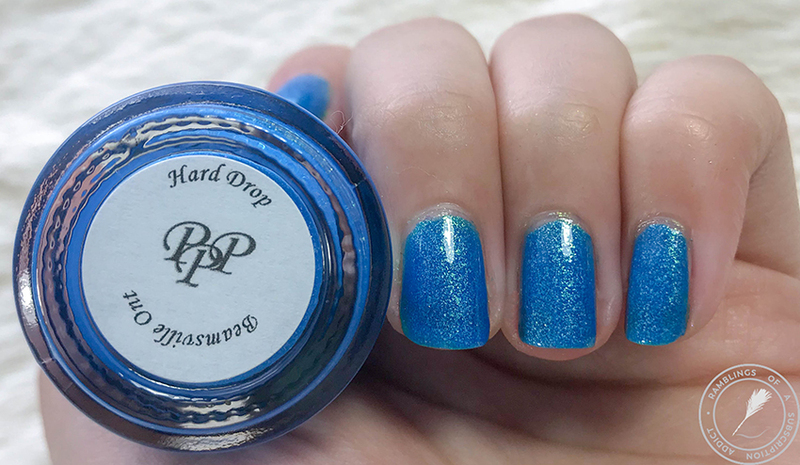 Hard Drop is a neon blue polish with a light blue shimmer. 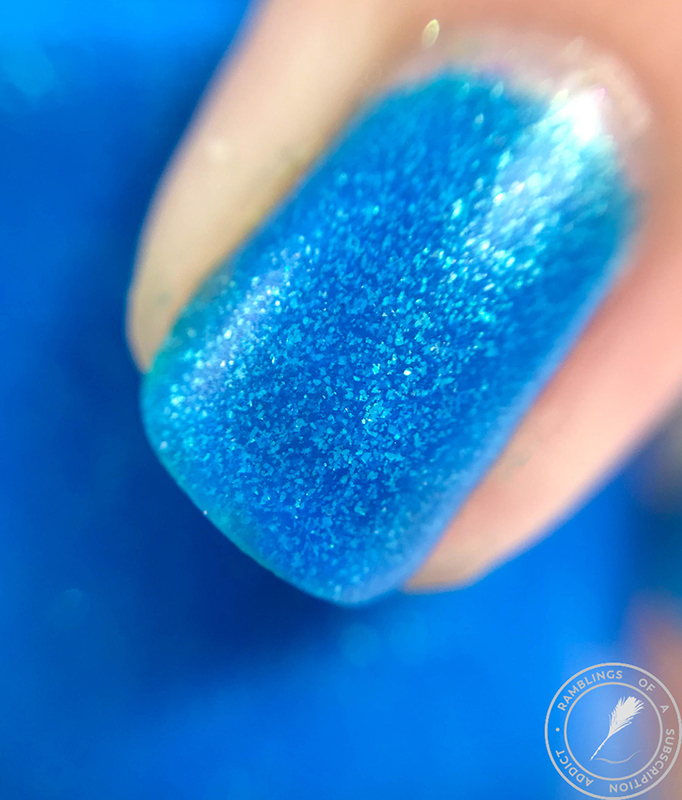 I love the base shade and the shimmer! 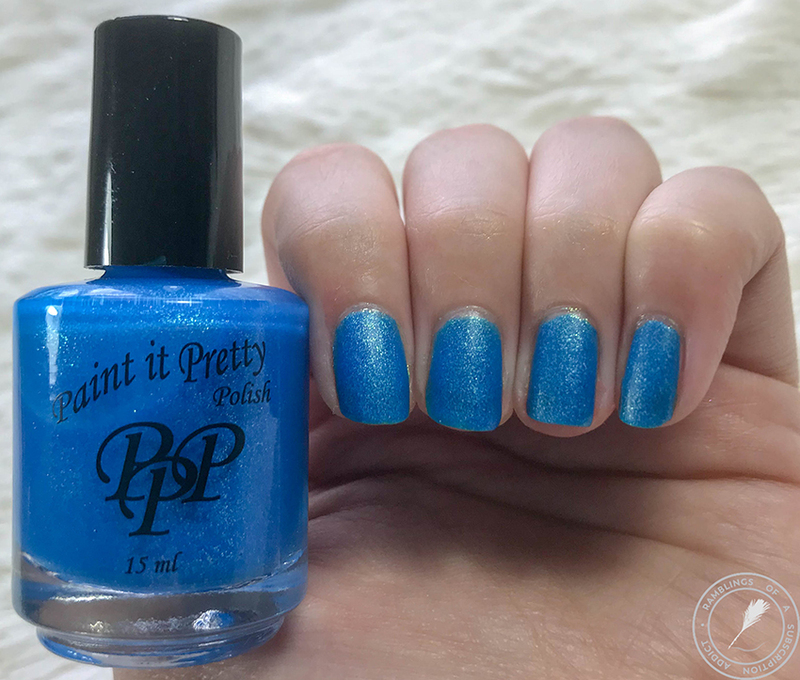 It's a beautiful blue and the shimmer is the perfect touch. The formula was about as good as it gets for a neon with this one. It applied easily and dried smoothly. 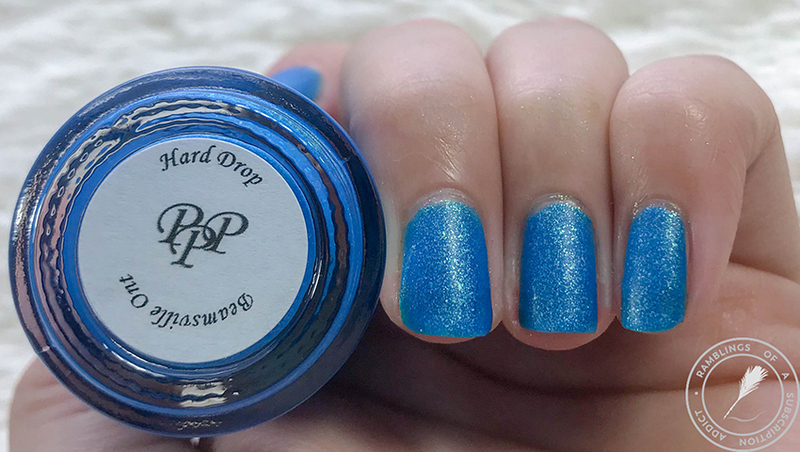 I prefer this polish glossy. 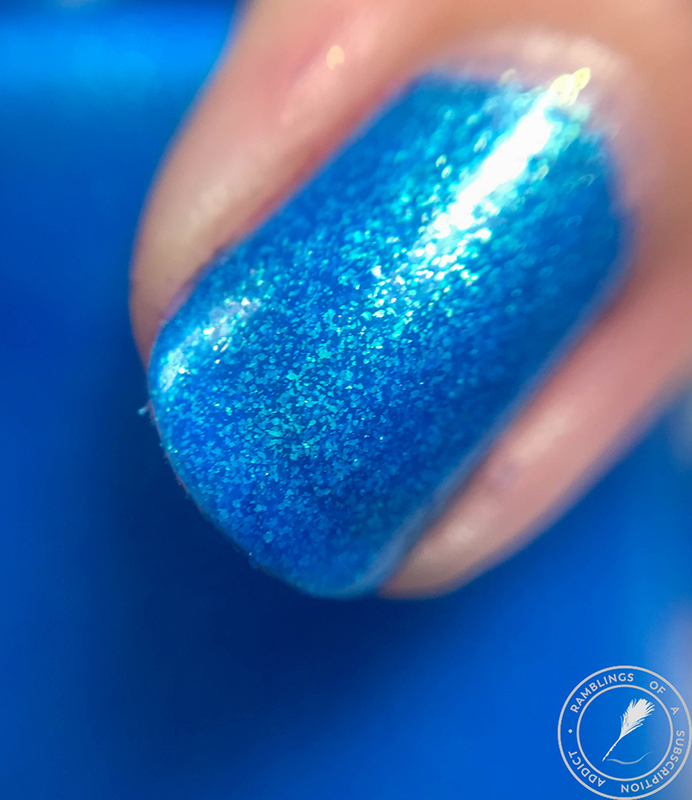 The shimmer hides a bit with the matte top coat and said shimmer does a lot for this polish.